£50 if you bring a friend, PLEASE SEND US AN EMAIL WITH BOTH NAMES, Thanks! 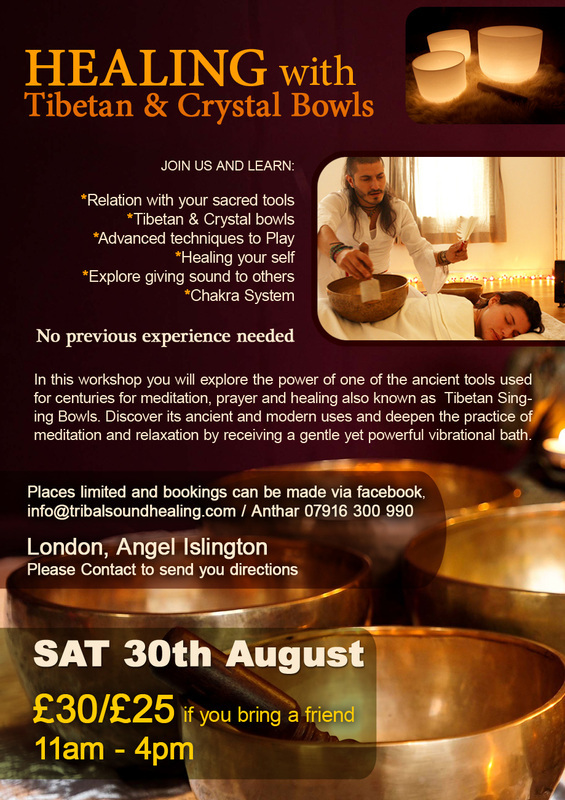 In this one day workshop you will explore the power of one of the ancient tools used for centuries for meditation, prayer and healing also known asTibetan Singing Bowls as well as the magical Crystal Bowls. Explore this ancient practice and deepen in meditation and relaxation by receiving a gentle yet powerful vibrational bath. £30 / £25 If you bring a friend!